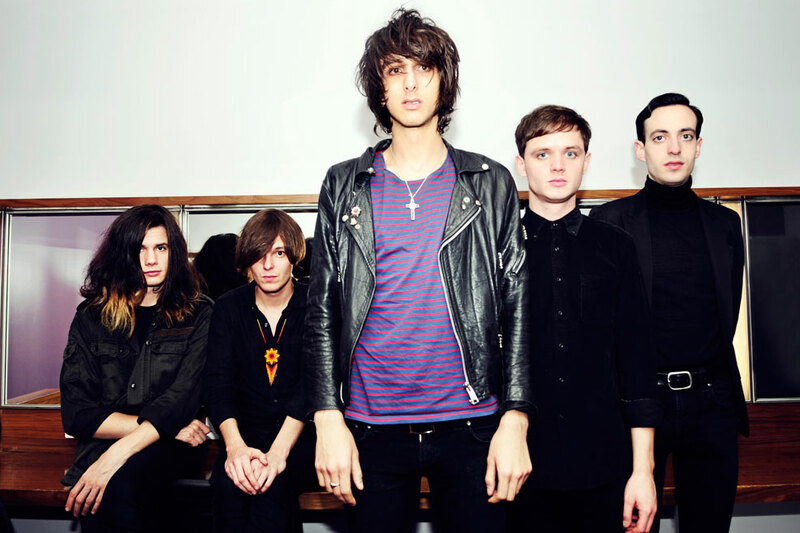 Following a solid set that offers Hendrix-esque instrumental feats from support act Baba Naga, The Horrors take the stage, their presence obscured by a thick cloud of artificial smoke. Only the lithe form of vocalist Faris Badwan remains visible, twitching like a marionette to the pulsing synth of opener ‘Hologram’. Vocally, Badwan sits somewhere between the low drone of Ian Curtis and the more tuneful stylings of Depeche Mode’s Dave Gahan. While his voice cuts through the fog, the lyrics are lost within the wall of noise emitted by the band’s distorted guitars and throbbing synths. Guitarist Joshua Hayward writhes in and out of sight, doubled over his guitar while the floor rumbles beneath him. The setlist spans across the band’s career from Essex goth-punk upstarts with fringes heavier than their guitars, through the discordant thrashing of accomplished breakout album Primary Colours, to the band’s more synth-heavy output on Skying, Luminous and new release V – all while thankfully omitting their divisive 2007 debut Strange House. The band’s new output receives a warm welcome from the crowd, but it’s tracks such as ‘Mirrors Image’, ‘Sea Within a Sea’ and the bands radio-friendly ‘Still Life’ which receive the strongest reaction. The smog dissipates gradually through the hour, and the night closes with a two-track encore: ‘Ghost’ and ‘Something to Remember Me By’, with Badwan perched on a floor amp, towering over the crowd. The energy of this final track encourages a duo of stage-invaders seeking their 15 seconds of fame (and a handshake from Badwan) before each is carried off by the scruff of the neck. It’s a raucous, bewildering and euphoric finale, and an apt farewell-for-now from a band still gaining momentum.